I saw this on the shelf recently. Now you can shave and get your morning caffeine jolt at the same time! Think of the time you can save!! I really like their caffeinated aftershave. Its wonderful stuff and readily available. I've also used their green non-caffeinated shaving cream in the photo and I like that as well. It's characterized as non-lathering, but I find it lathers quite nicely. (03-25-2016, 03:02 AM)Blackland Razors Wrote: I really like their caffeinated aftershave. Its wonderful stuff and readily available. I've also used their green non-caffeinated shaving cream in the photo and I like that as well. It's characterized as non-lathering, but I find it lathers quite nicely. I wouldn't blame you for thinking so! To be honest, I have no idea if the caffeine does anything at all, but the product is good either way. 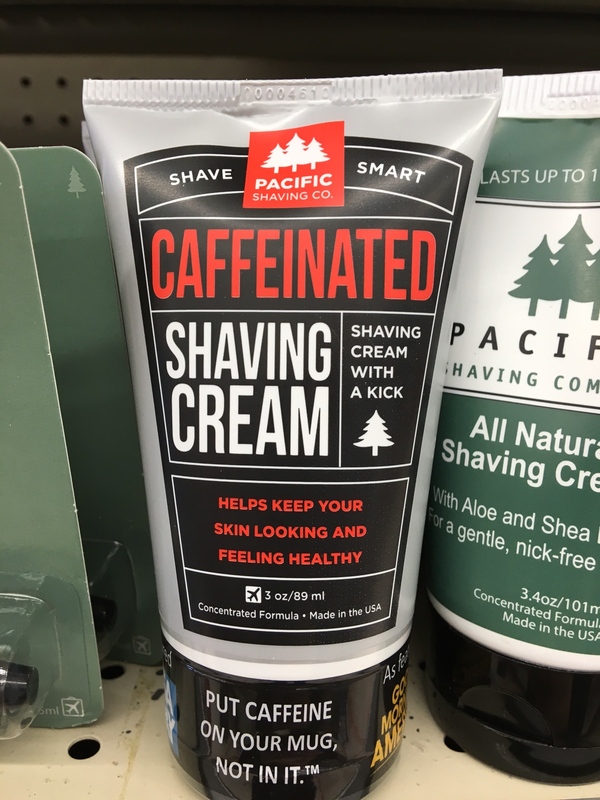 What, exactly, does the caffeine add to the shaving experience? Glide? Cushion? Moisturizers? Skin Protection? It just looks like an advertising ploy so is there really something beneficial to its addition? I used to use this for travel. Pretty good stuff for the price. I'm using a facial wash with coffee in it, it seems to make my skin look better; A little less puffier I suppose, so there must be something to it. I'd get one if I could. I've seen that at stores as well and wondered the same thing Freddy. I think it's supposed to reduce inflammation and constrict blood vessels close to the skin.